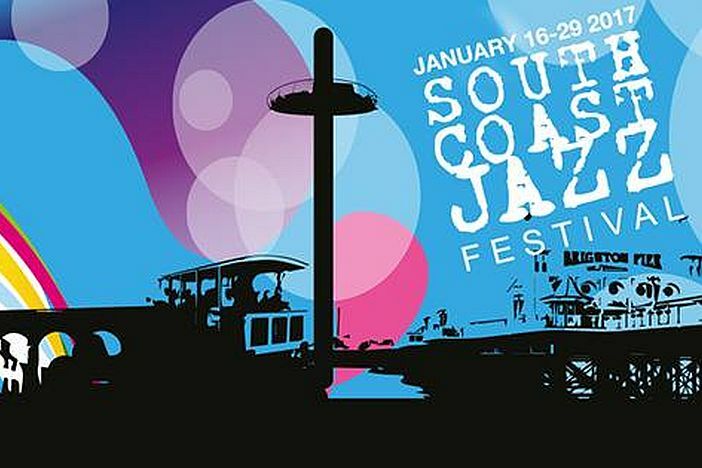 The festival season starts early this year with the third South Coast Jazz Festival taking place at The Verdict Jazz Club in Brighton and The Ropetackle Centre down the road in Shoreham-by-Sea from 16th to 29th January. From next Monday 16th The Verdict present a ten day programme of top-notch talent beginning with Brighton-born, Manhattan-based pianist Dave Drake’s trio followed by another local keyboard talent, Terry Seabrook’s new organ groovers Triversion. There is classy old school vocal stylings from the Sara Oschlag Quartet and bearded bass behemoth Eddie Myer’s 5TET fuses classic post-bop with Afro-Latin rhythms. In addition to some great live music there is also the Brighton Jazz School Forum and Awards dedicated to the late Simon D’souza and a day of classic jazz films alongside the photography of Indigo Burns. Both events are free entry. Over in Shoreham-by-Sea the festival continues at The Ropetackle with another series of all-star double headline sets each night beginning on the 26th with J-Sonics rare groovers alongside Alec Dankworth’s Sketches of Spain-influenced Spanish Accents. Over the weekend, classically trained pianist Zoe Rahman is matched with Dennis Rollins’ FUNKY FUNK. Expect hard-hitting funky jazz with a nod to the JBs through his eight year stint with Maceo Parker. Saturday sees the legendary guitarist Jim Mullen’s appearing with his organ trio before Sarah Jane Morris is joined by two other fine guitarists, Tony Remy and Tim Cansfield for a career-spanning acoustic set. It all wraps up on Sunday 29th with a free lunchtime show from Terry Pack’s epic Trees ensemble playing imaginative, fresh arrangements of classic tunes and innovative originals and a closing set of swing and jump-jive favourites from Ray Gelato’s Giants with special guest Claire Martin. Verdict Jazz Club, 159 Edward Street, Brighton BN2 0JB. Mon 16th – Wed 25th January 2017. The Ropetackle Centre, Little High Street, Shoreham-by-Sea, BN43 5EG. Thurs 26th – Sun 29th January 2017.